In its judgment of 7 April 2015, the European Court of Human Rights unanimously found that Italy had violated the prohibition of torture in Article 3 of the European Convention on Human Rights (Cestaro v. Italy, application no. 6884/11). Apart from its confirmation of the well-established principles of the ECtHR on the prohibition of torture, the judgment is important for at least two other reasons: the in-depth evaluation of the behaviour exhibited by the authorities of the State involved in the affair and, above all, the Court’s statements concerning the structural nature of the problem of torture. The case concerned events that occurred during the night of 21 July 2001, after the end of the G8 summit held in Genoa from 19 to 21 July 2001 in the “Diaz-Pertini” school used by some demonstrators as a night shelter (for an overview of the serious incidents caused by demonstrators, including some “black blocks”, see also Giuliani and Gaggio v. Italy, application no. 23458/02). The violation of Article 3 was “dual” in nature: on “substantive” grounds owing to the ill-treatment of the applicant and on “procedural” grounds owing to the lack of adequate investigations and punishment for the officers who were responsible for the acts of torture. Regarding the substantive violation, the Court found that anti-riot police units had stormed the school and, as the Italian courts and the ECtHR determined, had used force in a totally disproportionate way, with no real justification and completely ignoring the absence of any form of resistance by the applicant (then aged 62) and by the other occupants of the school (paras. 178-180 of the ECtHR judgment). The Court not only criticised the modus operandi of the police officers but also the planning of the whole operation, taking into account that the police officers had not been given any precise indication or instructions on the use of force and its limits. As a result, the applicant was struck and hit repeatedly, suffering fractures and permanent weakness in his right arm and leg. The Court concluded that the ill-treatment had been “intentional and premeditated” (para. 183) and that the acts in question had to be classified as torture on account of both the physical violence inflicted and the feelings of fear and anxiety that Mr. Cestaro had felt (paras. 177-179). The procedural violations of Article 3 ECHR stemmed from the shortcomings in the investigations and the lack of punishment for those who had perpetrated the torture. In that respect the Court also criticised the lack of adequate criminal legislation concerning the punishment of torture and the application of the statute of limitations to the crimes. This situation de facto ensured impunity for the police officers responsible for the violence (paras. 219, 221 and 225). This part of the judgment is important because the Court, seemed to imply that the statute of limitations does not apply to torture, in light of its importance in the ECHR and its status as an international crime under customary international law. The Court underlined that Article 3 was not subject to any derogation under Article 15 ECHR even within the framework of action against terrorism and organised crime (para. 188). In so doing, the Court has implicitly interpreted the ECHR in conformity with the general legal régime regarding international crimes, maintaining that violations thereof cannot be time-barred. An interesting point in the judgment is the repeated reference to Italian court judgments. Although it is well-established practice for the Court to reconstruct events and assess their legal implications from a domestic perspective, particularly in view of the subsidiary nature of the protection afforded by the ECHR, the degree of the Court’s reference to the decisions of the various Italian authorities in the Cestaro case is quite striking. Moreover, there is a certain novelty to the ECtHR’s in-depth evaluation of the “conflicting” conduct displayed by the Italian authorities: the conduct of the Italian police who committed the violence on the one hand and the conduct of the Italian courts which made every effort to ensure that the perpetrators would be held accountable under the criminal law. It is interesting that the classification of the acts as torture is mostly gleaned from what the national courts, and in particular the Italian Supreme Court, stated (“considerations in law” and “preliminary remarks” in para. 2 of the Italian judgment and para. 177 of the ECtHR judgment). In fact, in its judgment of 2 October 2012 the Supreme Court relied on the definition of torture contained in the UN Convention of 1984 and Article 3 ECHR, adding that only the absence of the crime of torture in the Italian legal system had prevented it from classifying the acts in question as torture even though it considered them to be of unusual and absolute gravity. With specific reference to the conduct of the various Italian authorities, on the one hand, the ECtHR appreciated the efforts of the judiciary (paras. 216 and 223-224). It rejected the plea that the national proceedings were unfair because lengthy and recognised that the Italian judges had correctly considered the seriousness of the violations. On the other hand, the Court strongly criticised the conduct of the police (thus implicitly the Italian government), who had not cooperated adequately and had de facto impeded the identification and punishment of the police officers who had perpetrated violence against Mr. Cestaro (paras. 214-216). Indeed, the Court underlined that during the police intervention some police officers had worn protective helmets, making their identification impossible (para. 217). As a consequence, only some officers (but not those responsible for the acts of violence) had been convicted for minor crimes such as calumny, abuse of public authority and grievous bodily harm. Prohibition of torture and structural problems: a new trend of the ECtHR? Regarding the application of Article 41 (just satisfaction) and 46 ECHR (binding force and execution of judgments), the Court underlined the structural nature of the problem at stake in Italy. This conclusion was not easily predictable because sometimes in the past Italy had been found liable for inhuman and degrading treatment, in particular for the ill-treatment of detainees, but never for torture. In that regard the Court stated very briefly (and thus not safely from critics) that the structural nature of the problem was “undeniable”. In any case, it seems that the judgment introduces some new elements into ECtHR case-law, because the Court’s reasoning is founded not on the continuous violation of the prohibition of torture already found by it to have occurred but on the continuous absence of legislation in conformity with this prohibition. In this respect two points can be made. Firstly, it is arguable that these new elements in the case-law could be linked to the importance of the right at stake – which represents, according to a leitmotiv of the Court, one of the most important values of democratic societies – and the particular gravity of the violations in the Cestaro case. Secondly, as mentioned above, the Court seems to be maintaining that the State’s conduct amounts not only to a violation of Article 3 ECHR but also to an international crime which cannot be subject to any statute of limitations in national legal systems. In other words, if the right violated is fundamental (and also constitutes an international crime) and the violation is very serious, the structural nature of the national legal system can be assessed by the Court in terms of a lack of adequate criminal legislation even if the violation in question concerns just isolated cases. 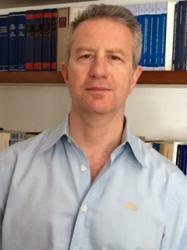 On a practical level, the effect of the structural problem is that Italy has a positive obligation to introduce effective criminal provisions to enable the punishment of those responsible for acts of torture and other ill-treatment and to provide deterrent measures to prevent other similar violations. In the present case, the existence of this positive duty stems from a systemic interpretation of Article 3 ECHR and other international law rules, such as Article 4 of the UN Convention of 1984 (paras. 243-244). However, it is evident that the Court also values its own prior case-law on a State’s obligation to envisage adequate legislative measures in relation to the prohibition of torture. In that regard the Court therefore seems to confirm the trend of affording its judgments, where they uphold established principles of ECtHR case-law, certain erga omnes effects thereby meaning that even States who have not yet been found guilty of violations of the ECHR must take those judgments into account. That is confirmed in the recent Brussels Declaration of 27 March 2015 on the “Implementation of the European Convention on Human Rights, our shared responsibility”, according to which States Parties should “attach particular importance to ensuring full, effective and prompt follow-up to those judgments raising structural problems, which may furthermore prove relevant for other States” (Part B, para. 2d of the Declaration). The Italian Parliament is considering a bill, which is likely to pass, that makes torture a crime and would punish with severe penalties acts of torture committed by officials (with more severe punishments) and private individuals. In Cestaro v. Italy, the positive obligation of the State concerns not only legislation on the prohibition of torture but also specific provisions concerning the prohibition of inhuman or degrading treatment. In light of this decision, the bill seems to be inadequate because it addresses only punishment of acts of torture and does not tackle the other “minor” ill-treatments. Moreover, someone has underlined further defects in the Bill relating to the difficulty of application of these new rules to situations like that concerning the Cestaro case because, according to the Bill, the tortured person has to be under the authority, supervision or custody of the torturer (see the comment by F. Viganò). These shortcomings could be underlined by the Council of Europe Committee of Ministers when monitoring execution of the Cestaro judgement. Thanks. This reminds one of the notion of a “continuing violation” of international law (regarding the need for adequate legislation), related perhaps to a continuing offense (like disappearances of persons).